As soon as we heard about MineCon we knew we had to go and support the indie juggernaut that is Minecraft in its grandiose release. 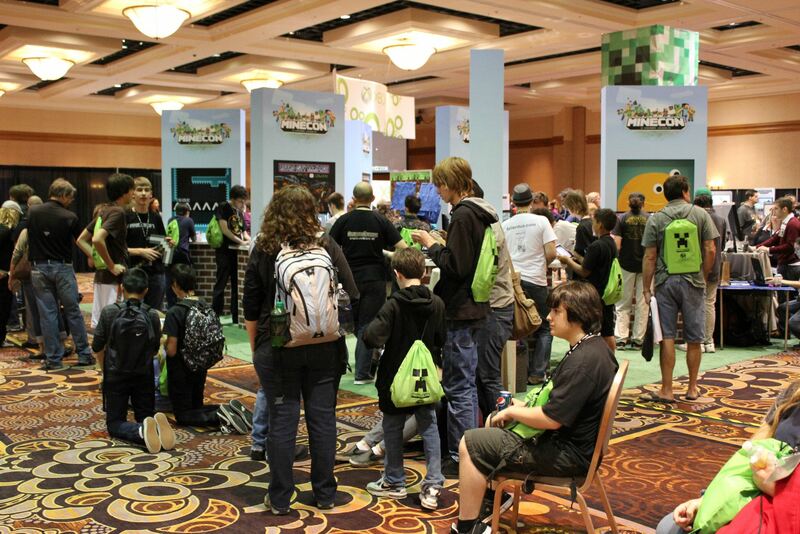 Before going much further I want to take this chance to thank everyone involved with MineCon and everyone that attended MineCon for supporting us. Markus, Daniel, Lydia, Christine, all of the other developers, and many more really welcomed us with open arms. We felt very at home with you all and the whole event was just a fantastic showing of community strength that surrounds indie games as a whole. 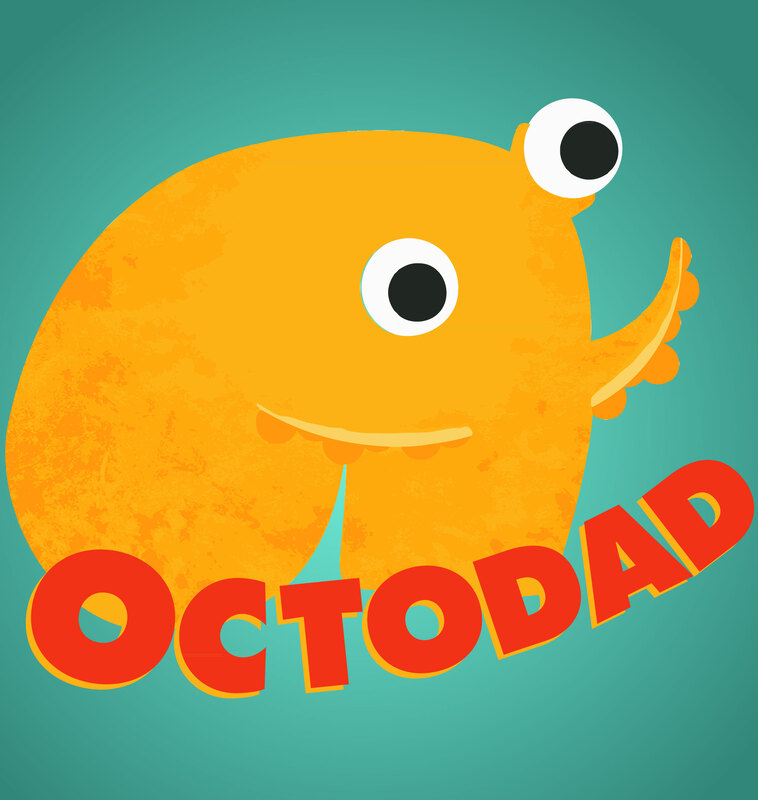 We applied to show off Octodad through the MineCon website and a few months later we found out that we were accepted to showcase the game in the expo hall at the “Indie Theater”. This is the little indie pavilion. 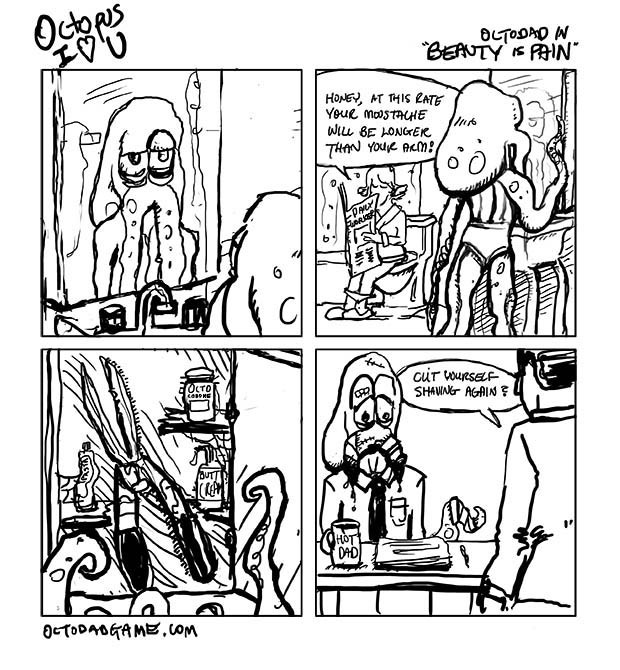 This weeks disturbing comic comes from Devon with his interesting Sunday funnies art style. 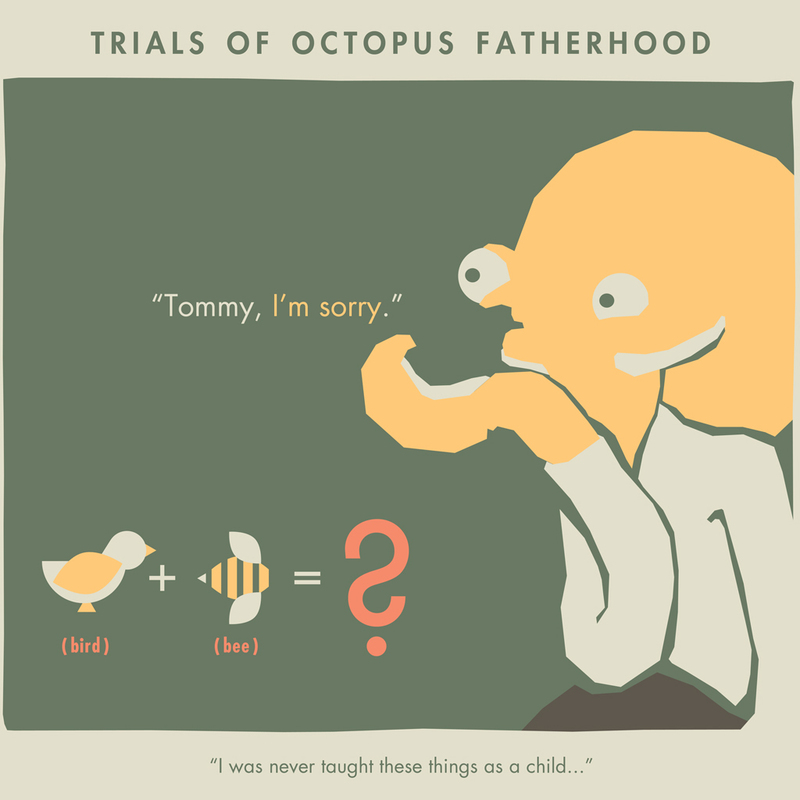 It’s monday, and in addition to rousting our lazy butts back to work after our rousing success at Minecon this weekend (post incoming), it’s also time for an Octodad comic! This one is brought to you by Ben Canfield, artist guy! Now for a fun guessing game! 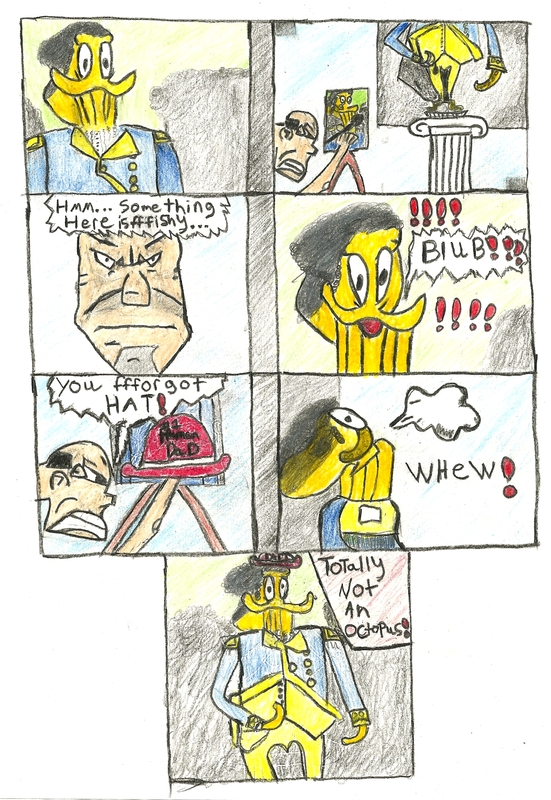 Was this comic drawn by a six-year-old fan of Octodad which I was guilted into posting due to a tragic but hopeful backstory written in crayon, or was it drawn by our sound guy, Seth Parker? Which of those options is more depressing?